US sports executive Charlie Stillitano claims that Jose Mourinho still does not know where his next job will be. American sports executive Charlie Stillitano has claimed that Jose Mourinho still does not know where his next managerial job will be. The Portuguese coach, who has been out of work since getting sacked by Chelsea in December, has been heavily linked with a switch to Manchester United. It has been widely reported that the Red Devils will replace current manager Louis van Gaal with Mourinho this summer, one year before the Dutchman's contract is due to expire. United are likely to miss out on qualifying for next season's Champions League after losing 3-2 to West Ham United on Tuesday night, but they could end the season with silverware as they are in the FA Cup final. Stillitano, who is the chairman of Relevant Sports, has revealed that he has been in contact with Mourinho, who he believes is still unsure where his future lies. 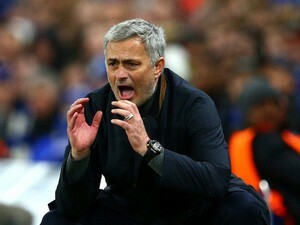 "I talk to Jose Mourinho a lot and I have no idea where he's going," Stillitano told American radio station Sirius XM. "I don't think he has any idea." United's final league game of the season is against Bournemouth at Old Trafford this Sunday. Is Fantasy Sports Like Gambling? Police chief slams Old Trafford "fiasco"